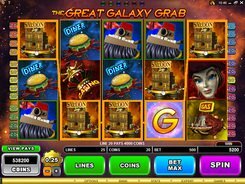 In the Great Galaxy Grab slot Microgaming transports you to the future with its spaceships, robots, intergalactic pirates, alien casinos and orbit diners. 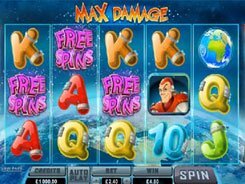 Having a well-designed plot, amazing imagery and a sci-fi storyline, the game offers a huge number of features such as wilds, scatters and six themed bonus games. 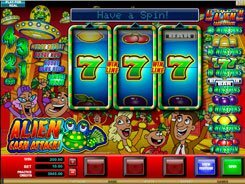 Played over 5 reels and 25 paylines, the game has a wide betting range from $0.01 to $62.5 per spin. The top jackpot prize reaches $5000, but in the fantastic six-level Space Chase feature you can grab up to 45,000 coins! The Space Chase bonus game is triggered by three or more Steel Scarlet symbols. 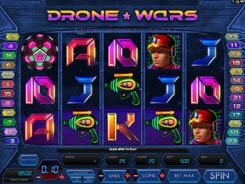 You will have to travel through six galactic locations (Astro Bank, Fuel Station, Diner, Saloon, Casino and Mall), each offering diverse chances to score big. 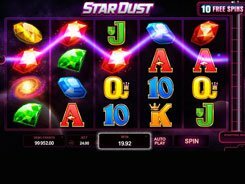 For example, in the Astro Bank Bonus you are to pick 6 out of 12 ‘Astro Doubloons’ and win mystery cash prizes; and in the Fuel Station Bonus your task is to match four Fuel logos and get a massive multiplier to your total bet. Every time you trigger the Space Chase feature, you unlock the next location on the map until you complete the whole trail. PLAY FOR REAL MONEY!